The Aqua-Jet SS-PW surface aerator is Certified to NSF/ANSI 61 by UL for use in potable water applications. The approval includes 1, 2, 3, 5, 7.5, 10, and 15 HP units designated as model SS-PW and can be utilized for THM stripping applications or circulation in potable water treatment systems and reservoirs with a minimum volume of 100,000 gallons. THM stripping involves the removal of Trihalomethane (THM), which represents a group of volatile organic compounds formed by the interaction of organic precursors in raw source water and free chlorine added for disinfection. 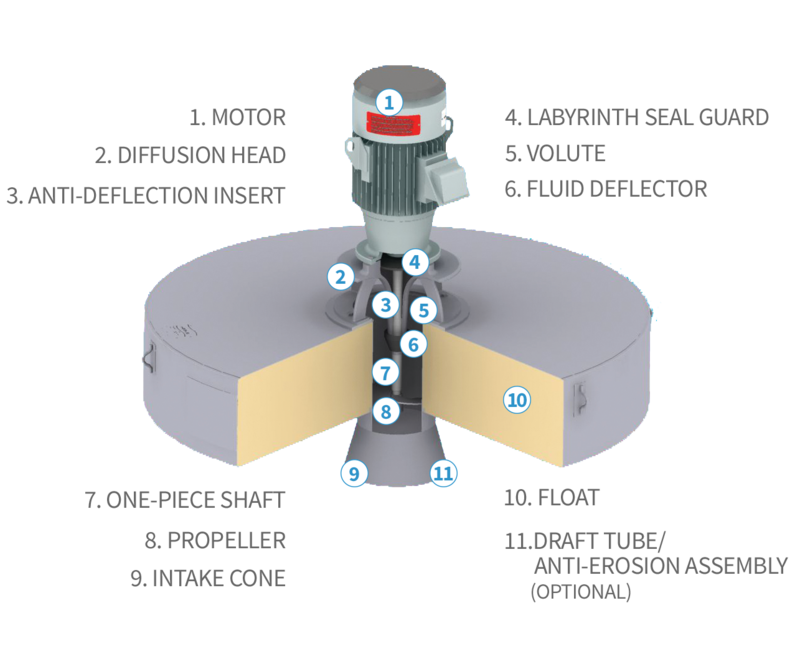 The Aqua-Jet aerator model SS-PW offers a lower cost aeration solution for THM stripping applications from the perspective of capital, installation and operating cost when compared to diffused aeration or other spray aeration products. 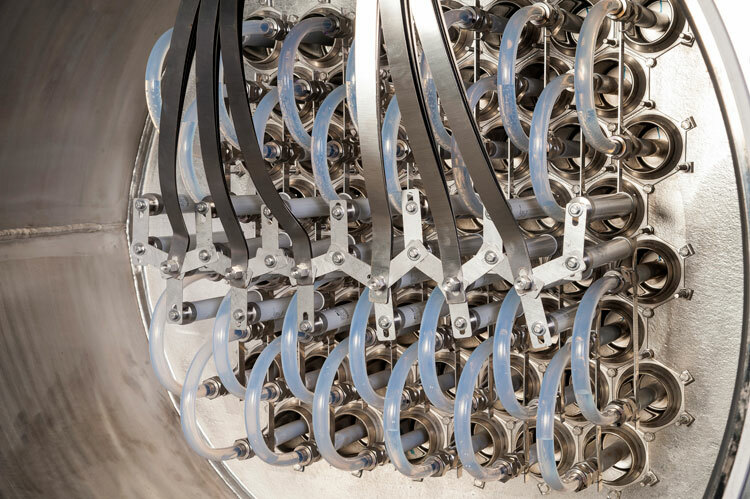 The Fold-a-Float® self-deploying, segmented float is a unique, space saving float that replaces the conventional float on Aqua-Aerobic Aqua-Jet® surface aerators and AquaDDM® mixers. This patent pending product folds into a compact, cylindrical arrangement for easy shipping, storage and installation. Once lowered into place, the float self-deploys as it meets the surface water in the tank or basin. The Fold-a-Float® is ideal for use in potable water applications for THM removal where typical installations have limited access for aeration equipment.